Design elements respond to the client’s passionate beliefs in the majestic West African Iroko tree. Its deep roots represent strength and stability, while its leaves symbolize renewal and innovation. 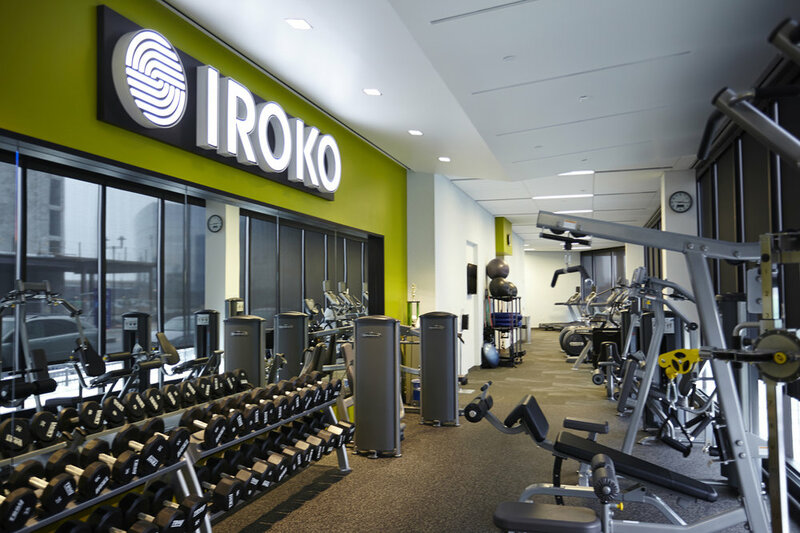 Iroko Pharmaceuticals selected L2P for the interior fit-out of their new four-story 55,000 SF build-to-suit facility at the Philadelphia Navy Yard. The ground floor of the building serves as the amenities floor with lobby/reception area, full-service cafeteria, training center, fitness center with locker rooms, and an exterior terrace for employee use. The open plan work space includes interior glass-front offices, conference rooms, central meeting rooms and cafes on each floor. 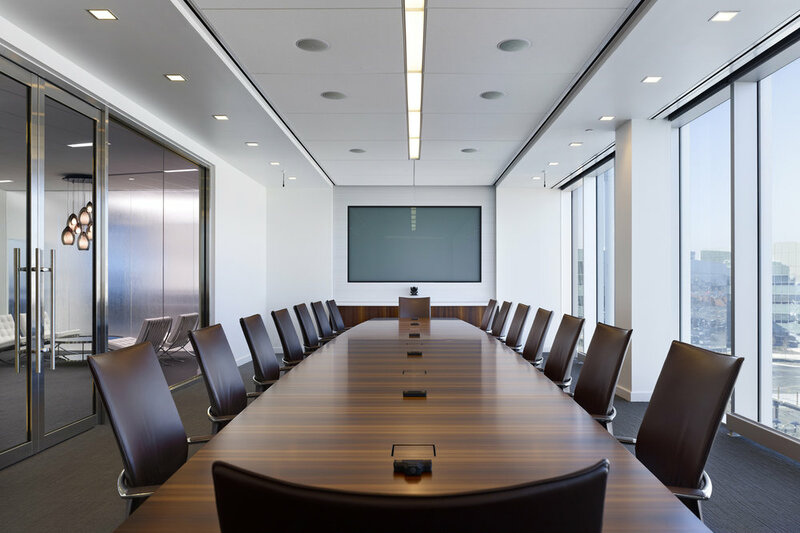 The fourth-floor executive suite features the main boardroom, private offices, and gallery areas. 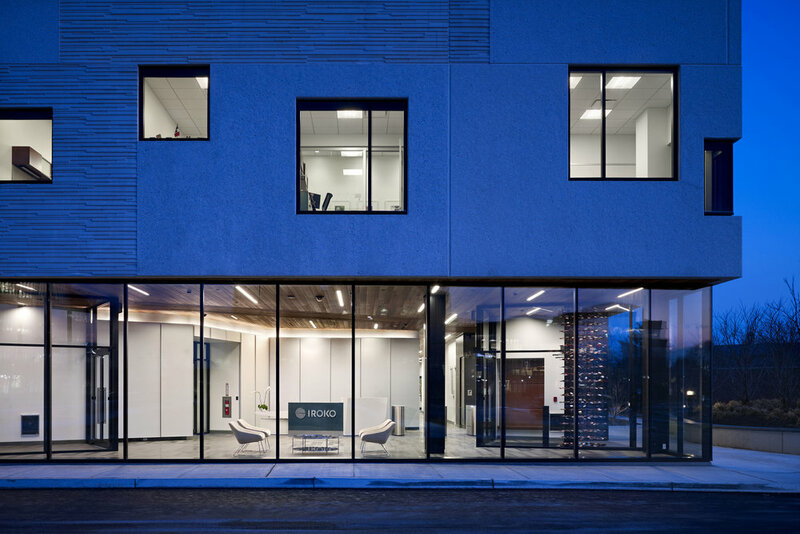 It was important to carry the design vocabulary throughout the building and interiors to brand the building Iroko. 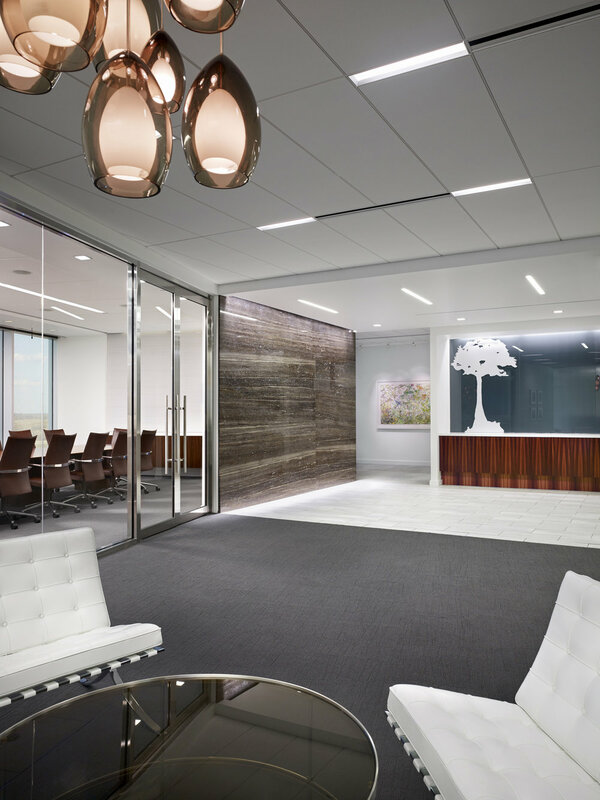 This was accomplished by carrying materials and textures used in the lobby and on the building exterior though to the other floors resulting in a clean, modern design. The plan layout responds to the strong angular geometry of the building to ensure a seamless transition between core and shell and interior fit-out.